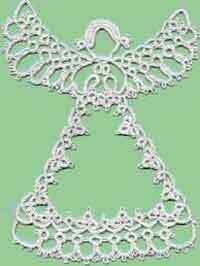 Free Angel Patterns and Projects and More at AllCrafts! 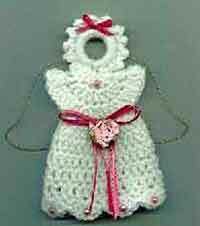 Welcome to Angel Crafts at AllCrafts! 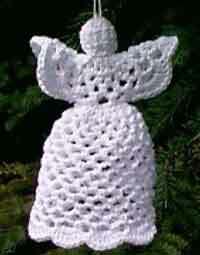 Classic crochet cotton angel. 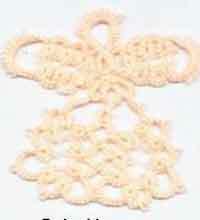 Simple crochet stitches. 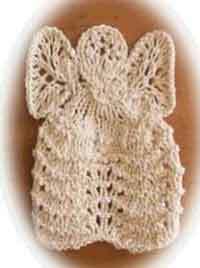 Beautiful wings, pattern has bobble stitch and inverted V-stitch. 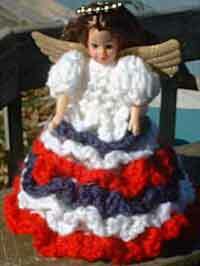 Love the patriotic look, but could match colors to the room, too. 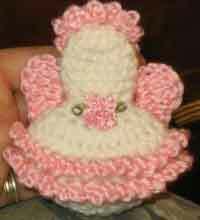 Cute little angel crocheted around a ring. 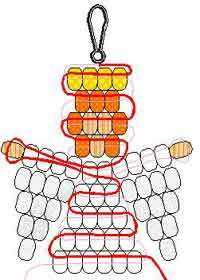 Add any flowers or ribbons. 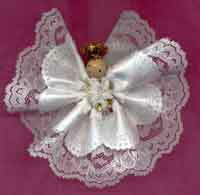 Quick and easy - perfect for gift topper or gift basket. 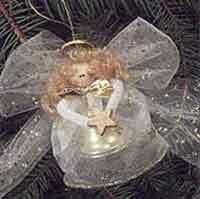 Leave flat for an angel ornament or stuff with fiberfill or potpourri. 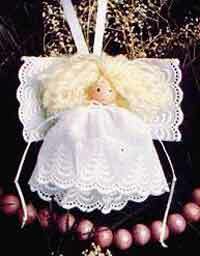 Sweet gift - pattern includes head and wings - decorate as you wish. So beautiful! 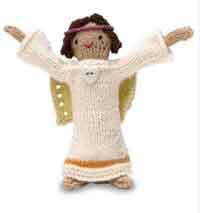 She'll bless everyone from the mantelpiece. 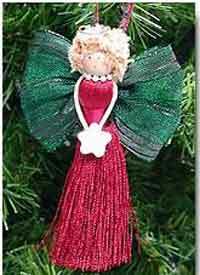 Easy angel pattern - lovely on the Christmas tree. 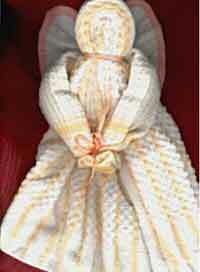 Beautiful standing doll to knit. 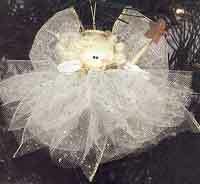 To sew for the little dancer! 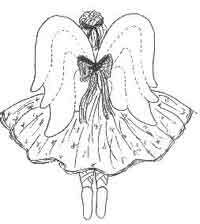 So cute -- sewing pattern has angel, dress and pantaloons. 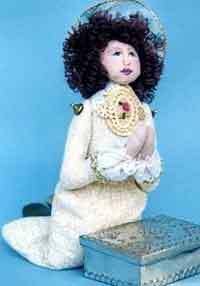 First communion gift idea - can kneel or sit. 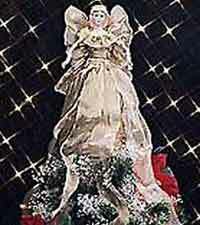 Great gift - includes short poem and photo instructions. Housewarming gift - uses a dish cloth, towel and potholder with a poem. 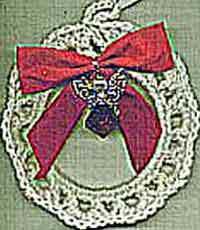 Pretty bathroom decoration that knits up quick. 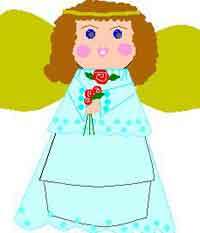 Use birthstone colors for a special gift. 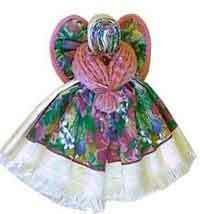 Cute on a keychain or backpack or on the Christmas tree. 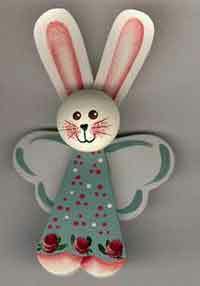 Adorable - made from wooden hearts and watercolor paper. 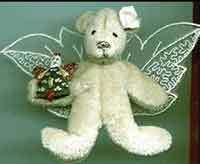 One pattern makes a bear, bunny or mouse angel. 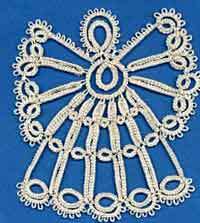 A teardrop, crescent and round bead make these. 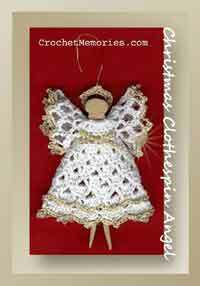 Easy gathered fabric angel pattern. 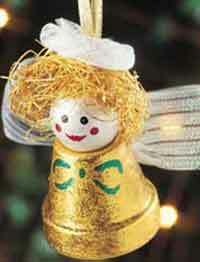 Gather tulle to make this pretty angel ornament. 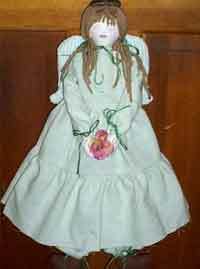 Make a tree topper with ribbon, styrofoam, and porcelain doll parts. 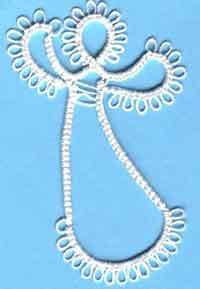 Easy to make with wired ribbon. 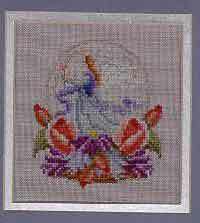 Fast and easy - great for gifts or Christmas bazaars. 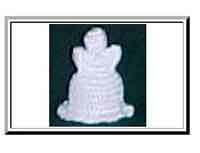 Lovely fabric on styrofoam angel. 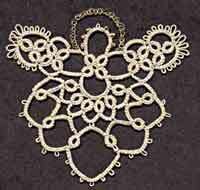 So pretty - great reason to learn tatting. 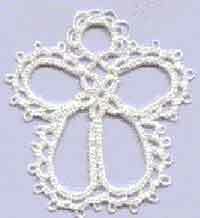 Tiny little angel pattern - good for learning tatting. 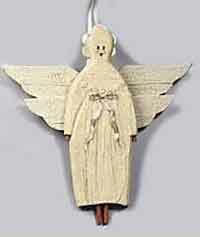 Great directions for a modern angel. 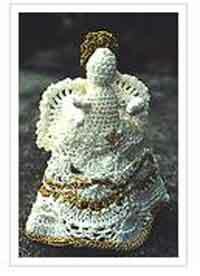 Shown both in baby yarn and cotton. Stunning - it's easier than it looks. 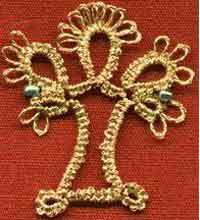 Pattern includes beads for a little sparkle. 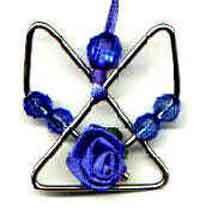 Works up quick - great for beginners. 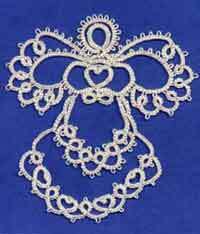 Simple beaded angel tatting pattern. 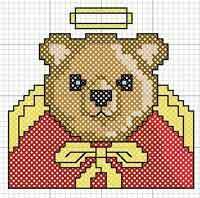 Adorable Angel bear for crochet or cross-stitch. 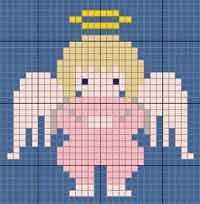 Annual series of angels to cross stitch. 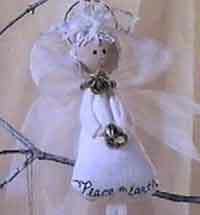 Cute little angel to stitch up quick and easy. 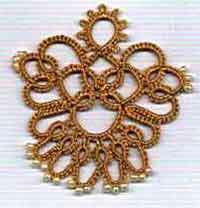 This pattern can be made in so many different materials! 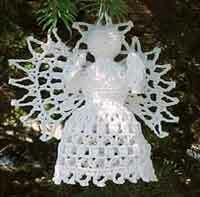 Crocheted around a recycled plastic ring with an easy beaded angel. 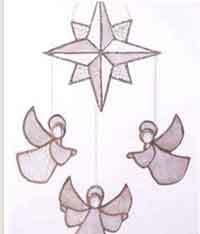 Lots of ways to decorate with angels!